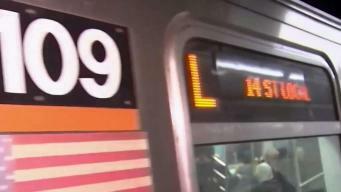 Questions Loom Over New L Train Plan: Why the Sudden Change? With Gov. Cuomo's surprise announcement Thursday that the long-dreaded L-train shutdown would be called off, New Yorkers are reacting with a mixture of relief and skepticism. Gov. Cuomo and the MTA announced Thursday a new L train subway tunnel design will eliminate a full shut down in April as previously planned — avoiding one of the biggest transit disruptions ever to New Yorkers. Gov. Cuomo took a personal midnight tour of the L train tunnel ahead of the big repair project looming for 2019. Starting in April 2019, part of the line was scheduled to shut down for about 15 months for Sandy-related repairs -- and L train riders have to find another way to get between Brooklyn and Queens. Gov. Cuomo put forth a plan to avert it in January. So will it or won't it happen? We'll keep you covered with the latest need-to-know information.